From Sub-Saharan Africa down to South Africa and Madagascar. Partially migratory following water availability. 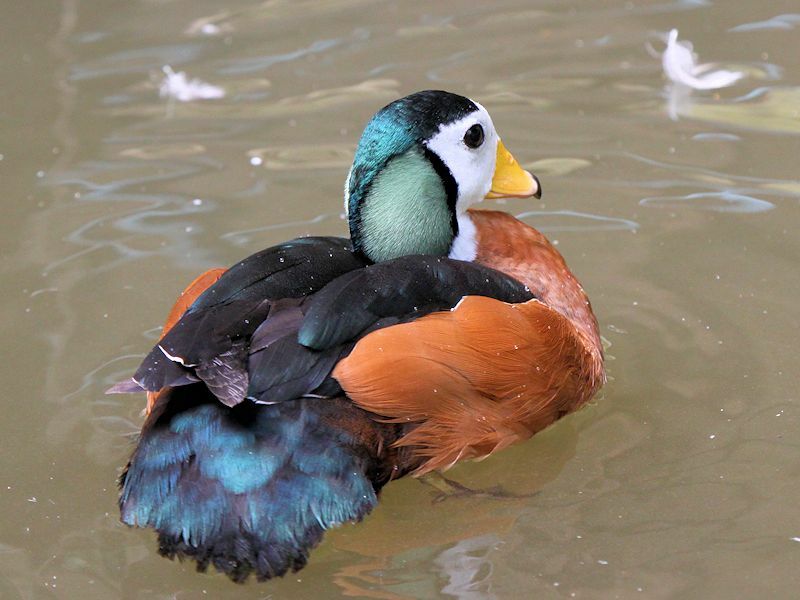 The male African Pygmy Goose has a White head with metallic Black crown and hind-neck, metallic Green ear patches, Brown-Red eyes, bright Yellow bill with a Black nail. 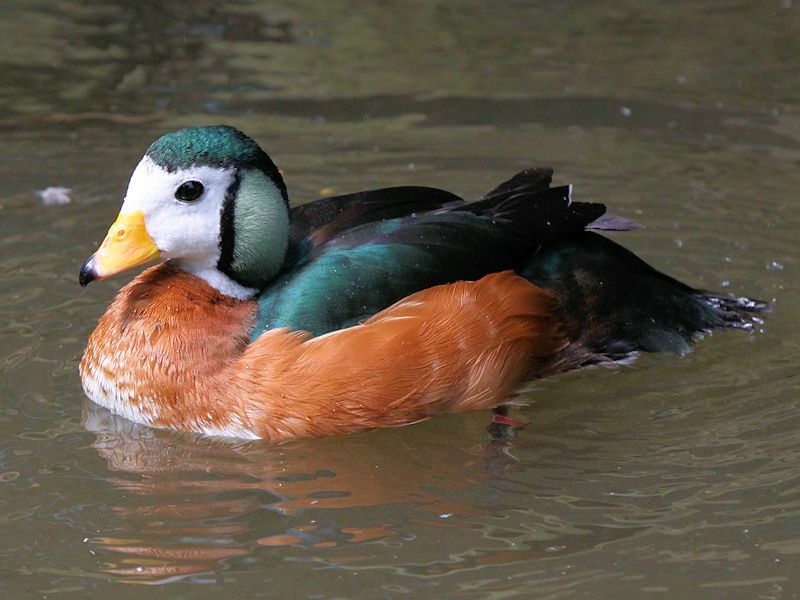 The lower neck, breast and flanks are a Chestnut-Brown colour with a White abdomen. 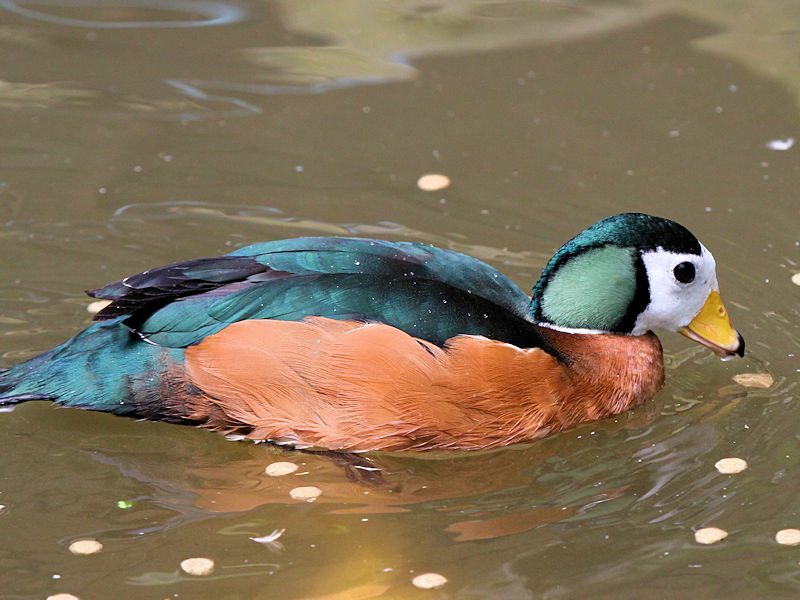 The upperparts and tail are metallic Green-Black and the wings are Green-Black with a White streak. The legs and feet are dark Grey-Black. 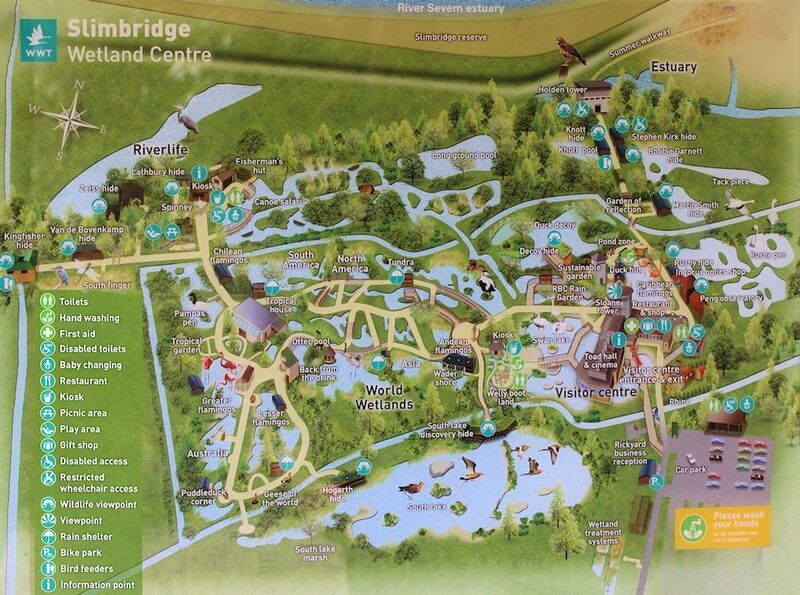 The female is similar but has duller plumage, a dark eye stripe and a Grey-Yellow bill. 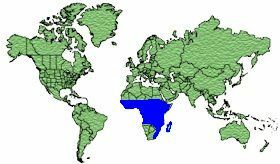 Shallow Lakes, Swamps, slow-moving Rivers with plenty of vegetation located from sub-saharan Africa down to South Africa and Madagascar. 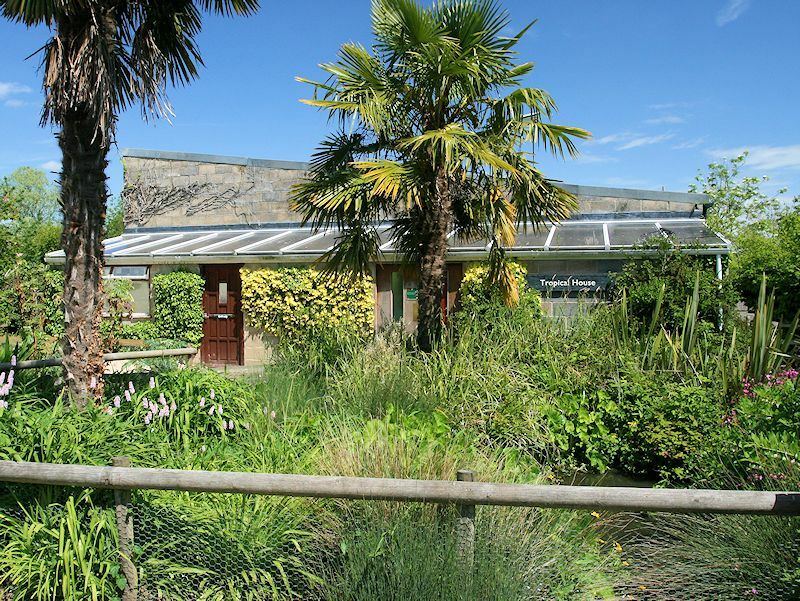 Aquatic Plants, particularly Water-lily Seeds, Roots, Leaves, Grasses and Aquatic Invertebrates. They nest in tree hollows. 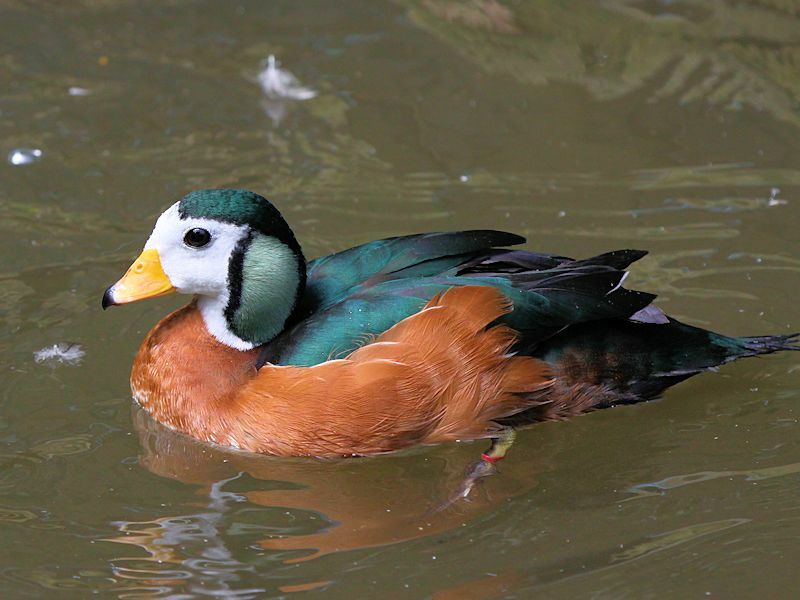 Dispite it's name, the African Pygmy Goose is actually a perching duck from sub-Saharan Africa and is the smallest of Africa's wildfowl. 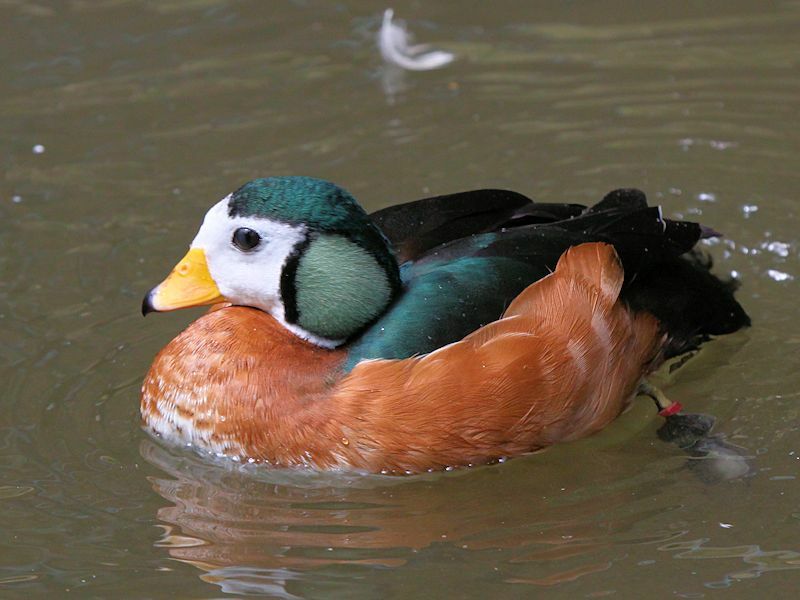 Although African Pygmy Geese have bills similar to geese, they are more related to dabbling ducks. 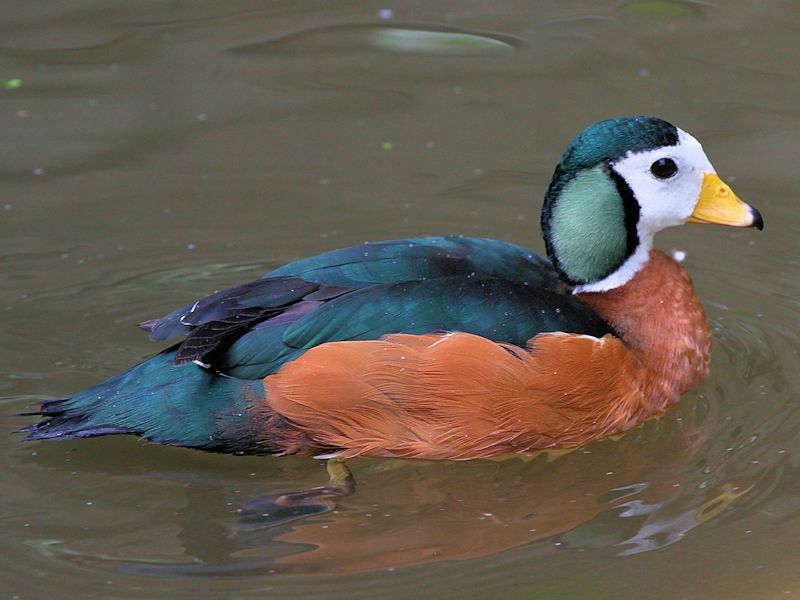 The African Pygmy Goose have short legs and consequently are rarely seen on land though they can be seen perching on logs or branches. Their call is a high pitched whistle which is often made during flight.